Cwmbran is a 1,000,000 sq ft new town Shopping Centre located 10 miles north east of Cardiff and 6 miles north of Newport. Weekly footfall is in excess of 325,000. The centre is anchored by M&S, House of Fraser, ASDA and Primark, along with Vue Cinema. The scheme also benefits from 3,000 free car parking spaces. 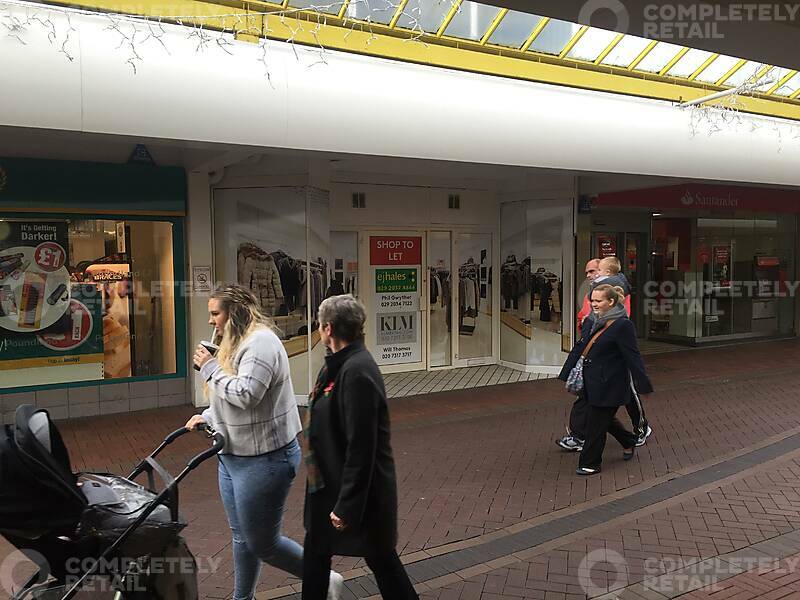 The unit is located on North Walk with nearby occupiers including Subway, Supercuts, CEX and Poundland. Rent is exclusive of rates, service charge and VAT. Interested parties are advised to make their own enquiries to the Local Authority to confirm this information. Each party is responsible for their own legal costs incurred in this transaction.